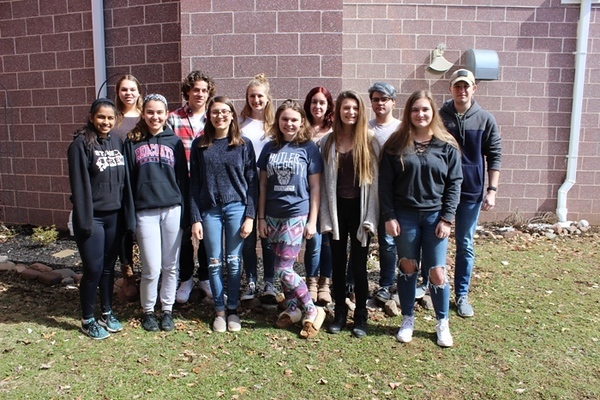 BERLIN - In honor of March Youth Art Month, the Berlin High School Advanced Placement Studio Art class will be presenting an exhibition of its work for viewing today through Friday at the Berlin-Peck Memorial Library, 234 Kensington Road. The opening reception will be on Tuesday from 6:30 to 7:45 p.m.
Library hours are Monday through Thursday, 10 a.m. to 8 p.m., Friday, 10 a.m. to 5 p.m., Saturday, 10 a.m. to 4 p.m.
For more information, contact Kathy Miller at kmiller@berlinschools.org. Posted in New Britain Herald, , Berlin on Sunday, 25 March 2018 20:52. Updated: Sunday, 25 March 2018 20:55.